We are all looking for a glimpse of true beauty and uniqueness in the world. 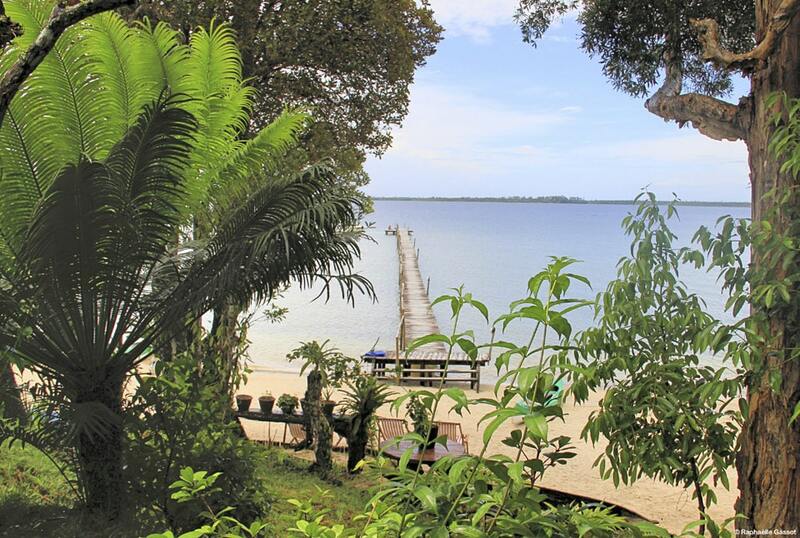 As a destination management company, it is the reason why we want you to encounter Madagascar. Our wildlife tours are made to meet your adventurous spirit. Created for you: Lemuria Land! 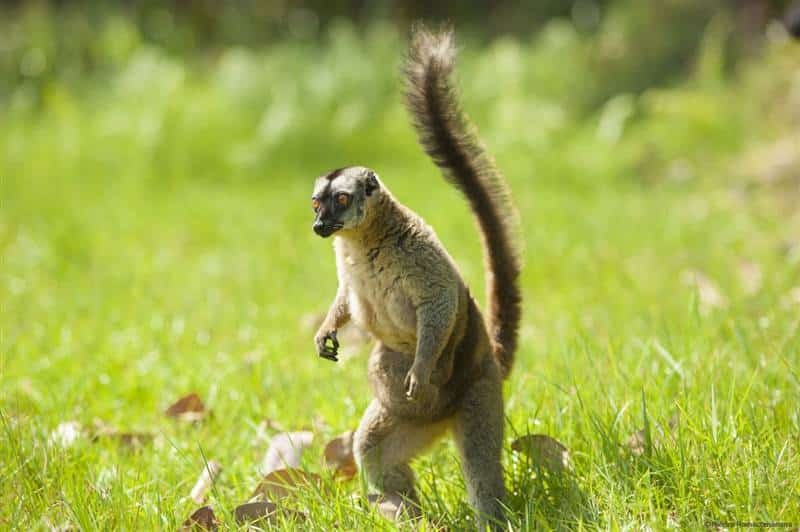 It’s a very special tour, in which you will spot varieties of endemic lemurs, and even more. Bring everything you need for an amazing journey. We will be at the airport to welcome you! Then, we will take you along to the hotel, where dinner will be served. And a prepared-room will be available for you to rest. We are leaving Antananarivo. So, enjoy your breakfast. Prepare yourself and your camera. Few stops on the way for you to capture beautiful pictures and memories. We will arrive at the hotel in the afternoon. Don’t worry about today’s activities, transfer or lunch. We have already prepared everything in advance. It’s time for a spare lunch now. In the afternoon, we will have a promenade in the natural forest. Discovering some other Indri Indri family, and birds. Can’t wait to be back here with you in the early evening for a night tour. But before that, in the mid-afternoon, we will get back to the hotel to rest and to be ready for our nocturnal tour: tonight, we are out. We wish we’ll meet: the Microcebus Lehilahitsara, the Avahi laniger and the Cheirogalus crossleyi. We are so excited to show you one of the most wonderful parks in Andasibe, a protected area: the Mantadia National Park. Making the most of our morning, we will witness the uniqueness of these two lemurs: Varecia Varegata and the Prophithecus Diadema. After lunch, we will ride to some special islets to have a closer look at many other lemur species. Plans for tonight? Night walks might be included. – Lemur’s Top list : Indri-Indri, Mouse Lemur, Common Brown Lemur, Hairy-eared Dwarf Lemur, eastern Woolly lemur, Grey Bamoo Lemur, Red-Bellied Lemur. – Birds Top list : Blue Coua, Red-fronted coua, Nuthatch Vanga, Madagascar wood rail, Madagascar Cuckoo-Roller, Cristed , Ibis, Magpie – Robin, Hook Billed Vanga, Collared Nightjar, Madagascar Scops Owl, Madagascar Paradise Flycatcher, Nelicourvi Weawer, Tylas Vanga. – Reptiles and Frogs top list: Parson’s chameleon, Short-nosed chameleon, nose-horned, chameleon, stump-tailed chameleon, and frogs: 3 to 4 species of boophis and about 5 species of Mantidactilus. Andasibe is fantastic. Get even more excited about our next destination is Akan’ny Nofy, literally translated “dream home”! We will drive to Manambato. 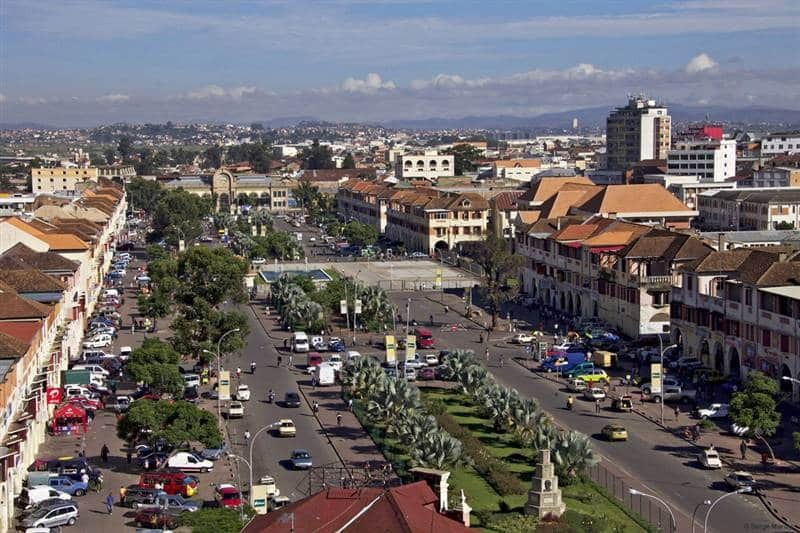 Then, as the driver will go back to Antananarivo, you will have a boat crossing to Akan’ny Nofy. You will be welcomed at the hotel. Rooms and dinner are waiting for you. Ready for another reserve exploration? Put on your comfy shoes: we are out for a 2h30 walk on the edge of Ampitabe lake. We will surrounded by 100,000 palm trees specific to Madagascar such as the Dypsis, the Ravenea, or the Lemurophoenix. Ten species of lemurs live there in total freedom (the Indri Indri, the Varécia variegata, the Propithecus, the Aye Aye etc.). 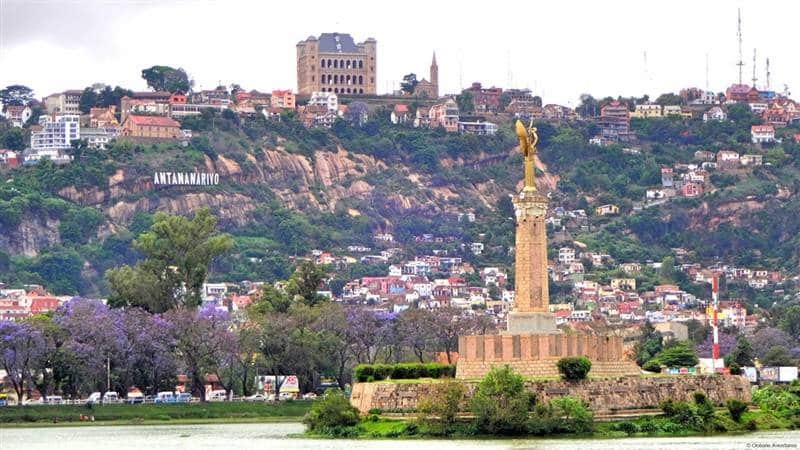 Tomorrow we will go back to Antananarivo. But let’s make tonight unforgettable with one last night tour. We’ll have so much to talk about during dinner! 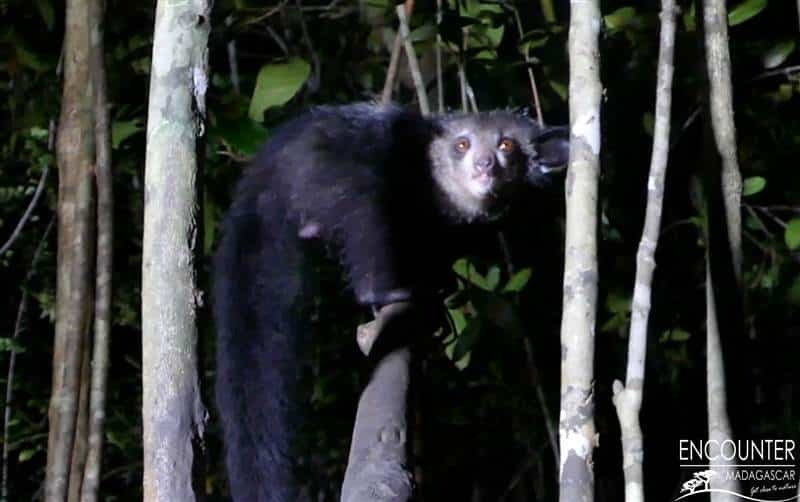 We may see the Microcebus, the Avahi, the Cheirogalus as well as the famous Aye Aye! A night of sleep, a good breakfast, and we will leave”Akan’ny Nofy” by boat crossing to Manambato. 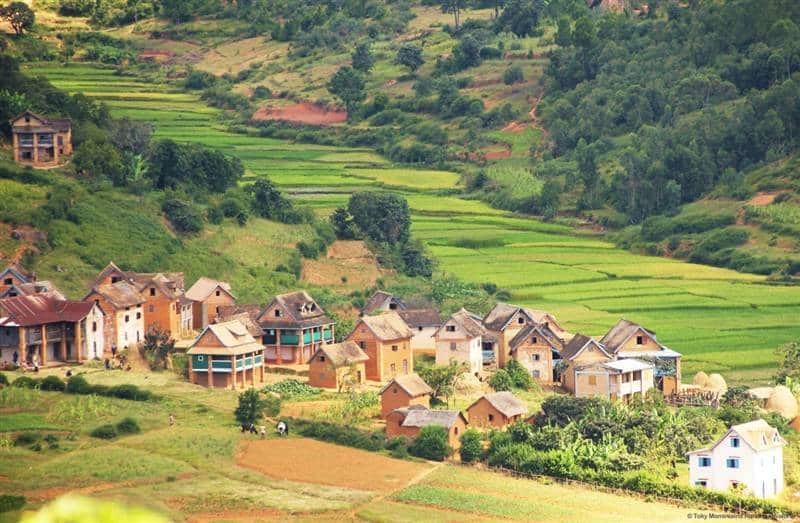 Then drive back to Antananarivo. Give yourself time to admire the wonderful landscapes. What were your best memories so far? Berenty, we are coming! 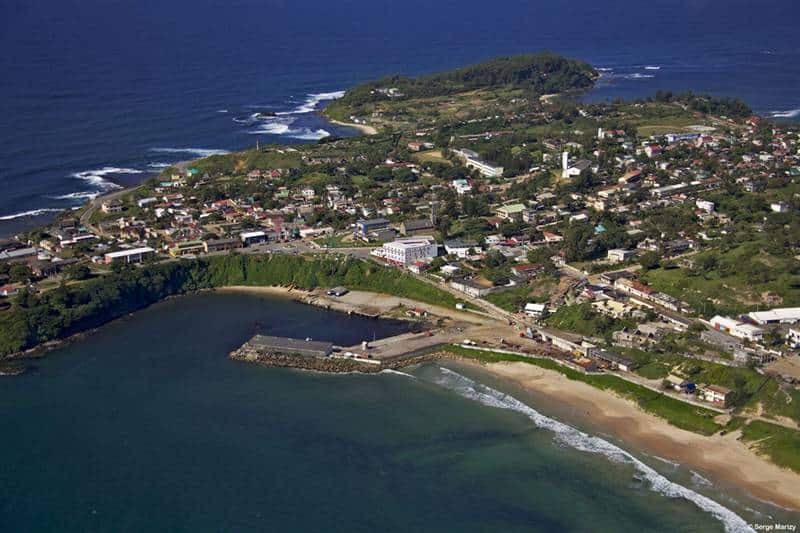 Depending on your flight schedule, your transfer to the Ivato airport and your flight to Fort-Dauphin will be a great opportunity for you to relax. A tour-guide will be waiting for you at the Fort Dauphin airport to drive you to your lodge: the Berenty private reserve. Trying new meal during diner will lighten your night. In 1936, De Heaulme family created the Berenty private reserve. We can now take advantage of this 240 hectares legacy. You might be asking yourself: “Sounds great. But, is it the end?” Of course not. We kept stunning treasures for your last day. Curious? Madagascar’s fauna and flora are waiting for you: lemurs, chameleons, birds, tortoises, butterflies, reptiles. Still so much more to discover within this wild flora. Today, your guide will organize your visit at your ease. Ring-tailed lemur, Verreaux’ssifaka, grey mouse lemur, grey-brown mouse lemur. Giant coua, hooked-billed vanga, ashy cuckoo shrike, Madagascar magpie-robin, Madagascar paradise flycatcher, white-browed owl, Madagascar scops owl, grey-headed lovebird. Dumeril’s boa, warty chameleon, jewel chameleon, radiated tortoise, spider tortoise, big-headed geckos, and plated lizard. It is time to leave Fort-Dauphin for Antananarivo. Don’t stress, our tour-guide will assist you on your onward flight. We are so thrilled, you made it. We are happy it is not the end. There are so many places for your soul adventurous to visit still. “Mandrapihaona” – see you soon. Lemuria land is just a glimpse of authenticity. Place where fauna and flora collide beautifully. Come and let’s encounter Madagascar together. The trip will be done with a 4WD vehicle. 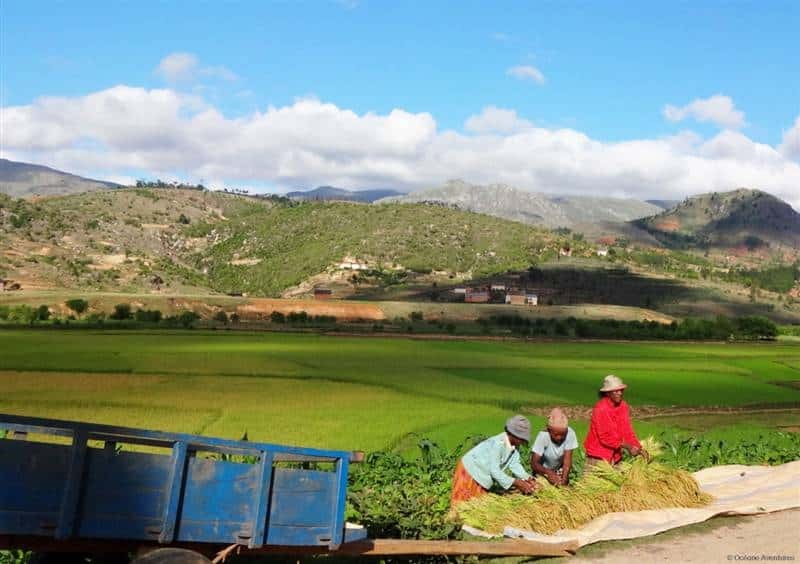 It is the best means of transportation to travel through Madagascar. Tracking the Indri Indri in Andasibe Special Reserve and hearing its amazing call. We have all, at one time or another, dreamed of returning in the past, going back in history and keeping with us one piece of this cherished past. You have this kind of feeling when we see lemurs for the first time. Our “Lemuria land” tour is a great trip in two specifics areas of Madagascar: the eastern rainforest and the southern thorny and dry forest. 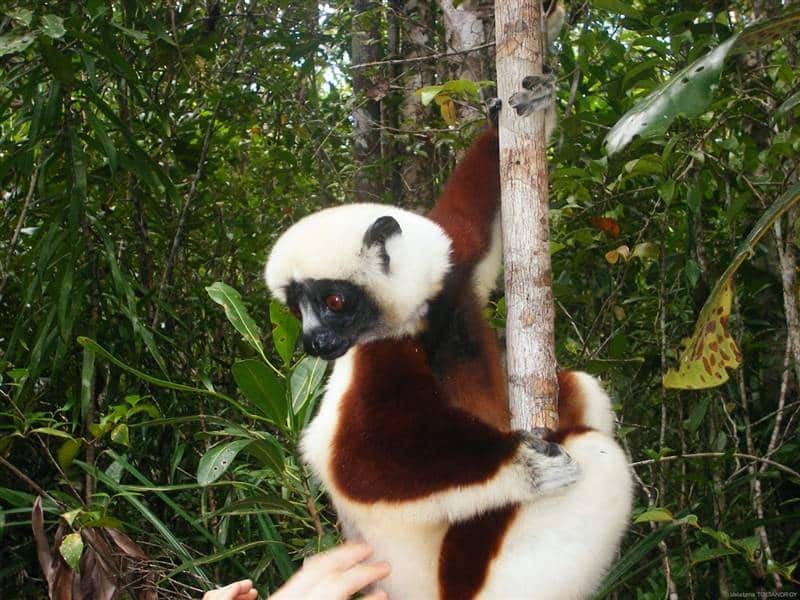 You will discover more than 20 diurnal and nocturnal species of lemurs. 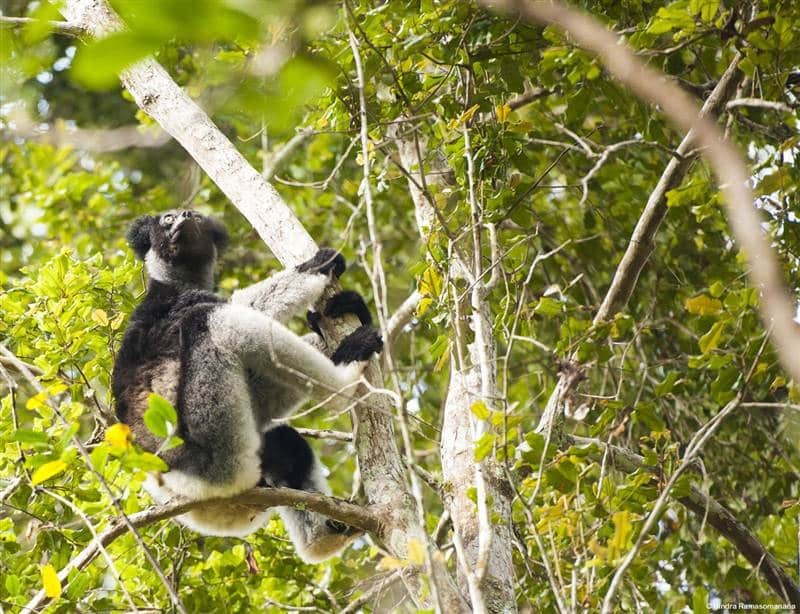 The charismatic species of this tour is the Indri Indri located in Andasibe, the Aye Aye seen at the Palmarium reserve, and the Sifaka or dancing lemur in Berenty. 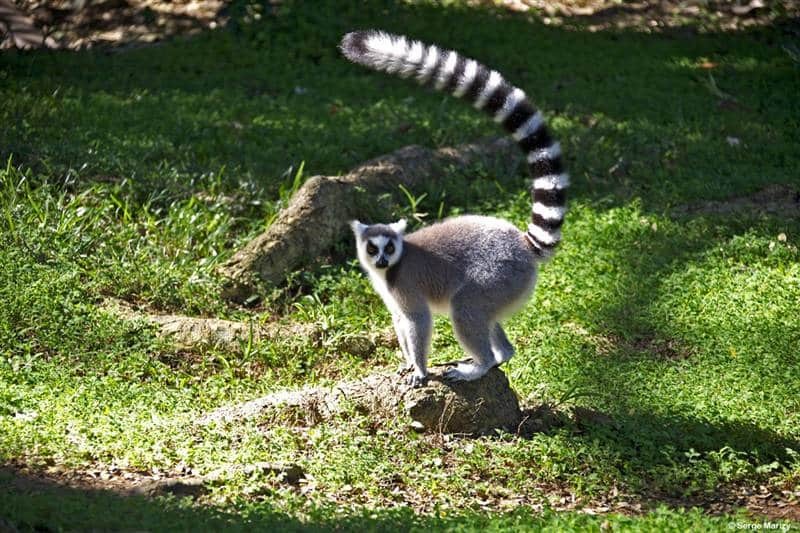 Yes, you will encounter lemurs, but not only them: you will also meet several interesting species of birds and funny reptiles which live in those reserves. You’ll notice that the lemurs can teach us how to enjoy life through the simplest things like singing, dancing and family time. How will you feel when you will see lemurs for the first time? During “Lemuria land”, you will discover more than 20 diurnal and nocturnal lemur species.